Bahrain-based BMMI, a leading services and supply group, recently donated BD12,700 ($33,503.3) to support the construction of the RIA Adult Centre, which will help differently abled individuals develop crucial life skills in parallel with work experience opportunities. The funds have also been utilised towards the purchase of a mini-bus to help in the transportation of those registered with the centre. RIA was established in 1999 with the mission statement of 'education for all’ and promotes community awareness, with particular focus on persons with disabilities. The RIA Adult Centre (RAC) is the latest initiative by the institute, and will provide a number of services, including work placements that ensure that students with special needs receive transferrable job skills that help them better integrate into the workforce. RAC’s vision is to create a community where people with intellectual disabilities and their families can participate equally in the community and be valued in all aspects of society. 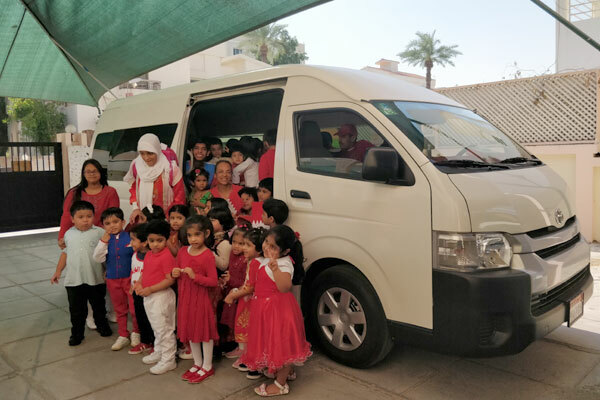 The mission of the centre is to enable individuals with intellectual disabilities to have the opportunity to develop and utilise their potential and to contribute as an integral part of the community at all levels and across all segments. Student director at RIA, Chrisitine Gordon, expressed her gratitude for BMMI’s contribution. “I am humbled, grateful and inspired by the way BMMI responded to our call for help. Advocating for others is made easier when people are genuinely sincere and we would like to thank all those involved,” she said.